The secret to effective security awareness programs is having a foundational understanding and knowledge of behavioral science, behavioral psychology, and neuroscience concepts. What? It's the science behind why we do what we do, how we're motivated to make decisions by things around us, and how most of the time - we have little actual control over our choices. Understanding these cognitive concepts will help boost your programs into the stratosphere. 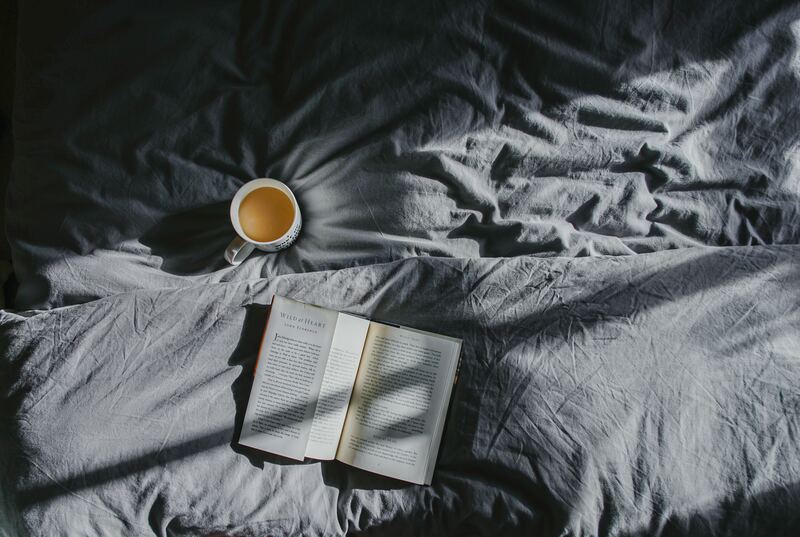 Habitu8 was founded by security awareness professionals who have obsessed over these books, podcasts, and blogs for the last 10 years. Jason Hoenich (founder, CPO) can get sidetracked for an entire day talking about these books and resources, and how they helped him build security awareness programs for some of the world's most well known companies like Disney, Activision Blizzard, and Sony Pictures. Here is his list of crucial reads & listens for those eager to boost the effectiveness of their security awareness programs. In no particular order, of course...each entry will include an excerpt from an external source along with a statement from Jason as to why it is relevant. For me, this book is a foundational requirement for any security awareness professional or CISO. The concepts in this are so important and it is such an easy read. Once I read it and adjusted my approach to include this concept - my entire program morphed nearly overnight. Why? But why? But why? So powerful. I continue to use the start with why approach nearly daily in almost everything I do or problems I'm trying to resolve. It goes behind security awareness, I use it in personal life issues and projects - it is just something everyone can benefit from reading. Donald Miller’s process is a proven solution to the struggle business leaders face when talking about their businesses. This revolutionary method for connecting with customers provides readers with the ultimate competitive advantage, revealing the secret for helping their customers understand the compelling benefits of using their products, ideas, or services. This book blew my mind when I read it. This is another short and simple read that provides so much amazing guidance. As security awareness practitioners, we often struggle with why our coworkers won't pay attention to our messaging. We assume we're doing all the right things by providing them lists of information and weekly emails. 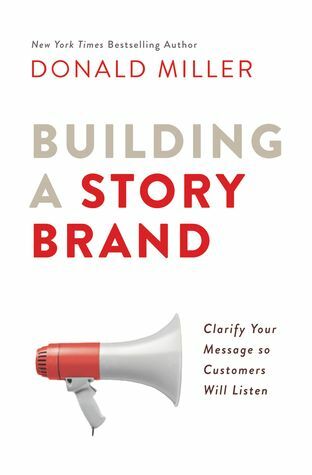 This book made me realize that if I didn't have a strong brand that was trusted and recognized within the company, my messaging would continue to fall on uninterested ears. For anyone about to start building a new program, or needs to refresh their existing, we can all benefit from understanding the core branding techniques that is likely missing from our programs. Obviously, I've put these techniques to work for my own personal brand on LinkedIn and while developing the Habitu8 brand. This book is like a cheatsheet for all the marketing secrets out there. If I Understood You, Would I Have This Look on My Face? is the warm, witty, and informative chronicle of how Alda found inspiration in everything from cutting-edge science to classic acting methods. His search began when he was host of PBS's Scientific American Frontiers, where he interviewed thousands of scientists and developed a knack for helping them communicate complex ideas in ways a wide audience could understand--and Alda wondered if those techniques held a clue to better communication for the rest of us. I think we're starting to see a pattern here. Obviously I highly value communication skills. It is the fundamental core reason why our messages often fail to engage our coworkers. What I liked about this book was that I had no idea that the M*A*S*H* actor was so involved in helping scientists communicate their findings so that they could acquire larger amounts of funding to continue their research. It is fascinating. He includes a laundry list of behavioral science research, studies, and authors and discusses them in a way that is viscerally human. It's another book that you can read quickly and come away with a greater sense of applicable knowledge and how you can improve your security awareness program communication. I read this book after I read Kahneman's Thinking Fast and Slow and it helped me to really grasp the concept of the emotional and rational halves of our brains. I really needed the metaphors they used in here and it helped me to rethink and understand how to motivate change, mass scale change, in corporate cultures that I didn't quite have a grasp on. One of my favorite concepts from the book is Motivate the Elephant...that's the task we have with security awareness & education. Really, all of the Heath brothers books are must reads, but I really enjoyed this one and I believe the security awareness industry is a prime example for use of their research and suggestions. They also write in a way that is really simple and clear. This was a book I was recommending to others before I even finished it. 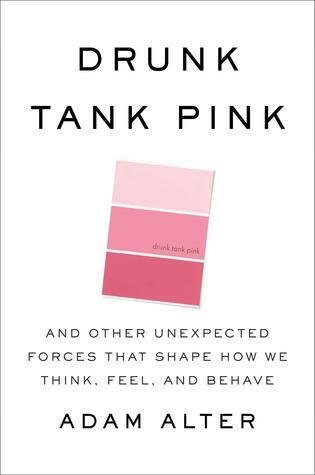 Most of us go through life believing that we are in control of the choices we make, that we think and behave almost independently from the world around us, but as Drunk Tank Pink illustrates, the truth is our environment shapes our thoughts and actions in myriad ways without our permission or even our knowledge. This book may get the label "Most Fun Read". Lots of really interesting studies about real-life examples of how our environment has been used to subconsciously change behavior. Again, for practitioners who are attempting to change behavior of those around them, this book has a ton of really fascinating examples and research references to studies. Lots of support for color selection and priming someone before making a decision needs to be made. Add it to your queue! I love all of Dan Ariely's stuff. In fact, I was super excited when I saw that Bruce Hallas had interviewed him for his Re-thinking the Human Factor podcast and featured him in his book of the same title. What I really loved about this book was the candidness and ease which Dan writes about complex studies he conducted in MIT in a way that allows immediate engagement with the book. My key takeaway from this book was the chapter discussing anchor points and how it is such a powerful subconscious tool you can use in life. I used the concept when I was priming my executive leadership to allow me to reduce the required annual training length from 75 minutes down to just 25 minutes, but first stating "I'm not asking to do a 5 minute training..."
Cialdini is a legend. 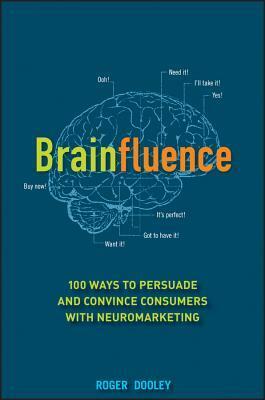 His original book - Influence - is a classic that stands on its and is also highly recommended. However Pre-Suasion, for me, was everything I needed. The book gets a lot of mixed reviews for various reasons, but what I really loved about this was when he shared what he learning while working with a large pharmaceutical company's corporate communications team while building his presentation deck for an internal conference he was keynoting. Not everything is a gem, as with most of these books - but there is plenty to consider for use in security awareness programs. Every little bit we can do to make our messages more engaging, even priming our coworkers to "hear" the message, will help us create stronger programs. 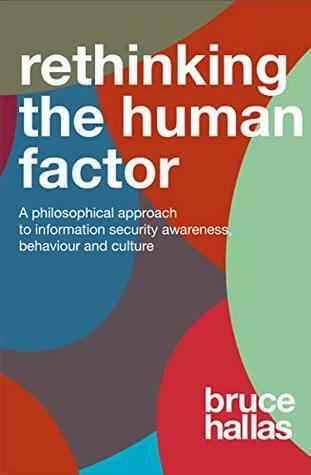 In ‘Rethinking the Human Factor’, information security expert, Bruce Hallas sets out a new philosophical approach. Rather than creating a separate security culture, Hallas’ focus is on how to make risk mitigation an unconscious ‘habit’ that’s embedded within the organisation. This is my new favorite podcast. Bruce landed Dan Ariely and Stella Collins for separate interviews on this podcast, which is huge. To hear these behavioral scientists discussing information security directly makes my brain purr. What is so great about the podcast is how intentional the selected interviews are and how the discussion transgresses all relevant and important topics for security awareness professionals. Everything is specific to the security awareness industry - and I love it. The book is a gem and should be considered the field guide for all CISOs and security awareness professionals. This was my favorite new podcast until I discovered Bruce's. The book and the theory of the book is great for us security awareness nerds. We need all the research and guidance we can get when it comes to understanding behaviors and helping users form new habits. The podcast does a great job of including ideas from the book, but he also often interviews other researchers and scientists and the best part is each episode is like 10 minutes long. It's great micro-learning! Whether you’re an artist or a salesperson, a teacher or an engineer, a marketer or a parent—putting the spotlight on your ideas, insights, projects and products requires a deep understanding of the science of attention. In Captivology, award-winning journalist and entrepreneur Ben Parr explains how and why the mind pays attention to some events or people—and not others—and presents seven captivation triggers—techniques guaranteed to help you capture and retain the attention of friends, colleagues, customers, fans, and even strangers. I loved this book. It is super short, super fun, and packs so much useful information for security awareness peeps. My favorite favorite favorite takeaway from this book is the idea of "violate people's expectations". I use it over and over and bring it up whenever I can, it has become a core staple to my way of thinking. No brainer, just read it. This podcast is almost priceless in its value to us in the security awareness industry. Roger Dooley interviews everyone. EVERYONE. I think almost every author on my list is featured at some point on his podcast. They're around 30-40 minutes which means they're super digestible and each episode is like a cheatsheet to the book the author wrote. I listened to almost all the episodes which then led me to each of the books I recommend. I put it last on my list so that you have a single, lazy, one-off solution if you don't like reading or listening to audiobooks. This is your secret weapon. This list is by no means exhaustive, it was really hard to limit this to ten. Also, it is upsetting to me that the books I have the most admiration for are also male authors. I would like to take a moment to state that this is not intentional but I do find it a bit disturbing and would welcome recommendations from female authors as well. I hope this list provides guidance and helps you navigate this wonderful world of security awareness and human behavior, as they are attached at the hip. Please share this with others and let's get a conversation going!